CY&BC is pleased to run again the VHF Radio Operator Course. The aim of the course, is to provide trainees understanding (practical and theoretical) of VHF communication (Very High Frequency Radio) at sea. The course includes training, preparation and examination for VHF radio license, required by the Irish Government. All skippers and power-boat/rescue-boat skippers must be licensed radio-operators. Crews on yachts and rescue craft are also encouraged to learn and become licensed operators as well. This is a valuable skill on all marine craft. Course requires 1 evening and 1 full day of training. Homework and pre-study will be provided which is recommended to complete. We will run the VHF course on the following dates. 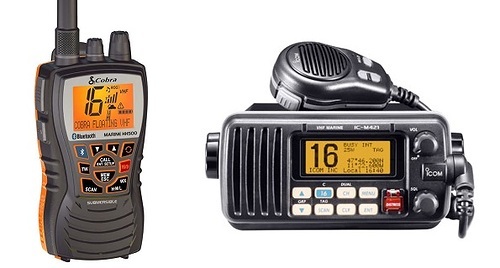 Equipment: VHF handsets are provided by CY&BC but if you have your own please bring as well. Student numbers: we have 10 places on each course. Payment: Cheque, cash or electronic transfer are possible. Confirmation: if you are interested in the course, please email Findlay MacDonald at [training at cybc dot ie] with your preferred dates and how you'd like to pay. Fees will be collected in advance of the course. If paying electronically details will be forwarded individually for CY&BC account. Course is open to members and non-members.